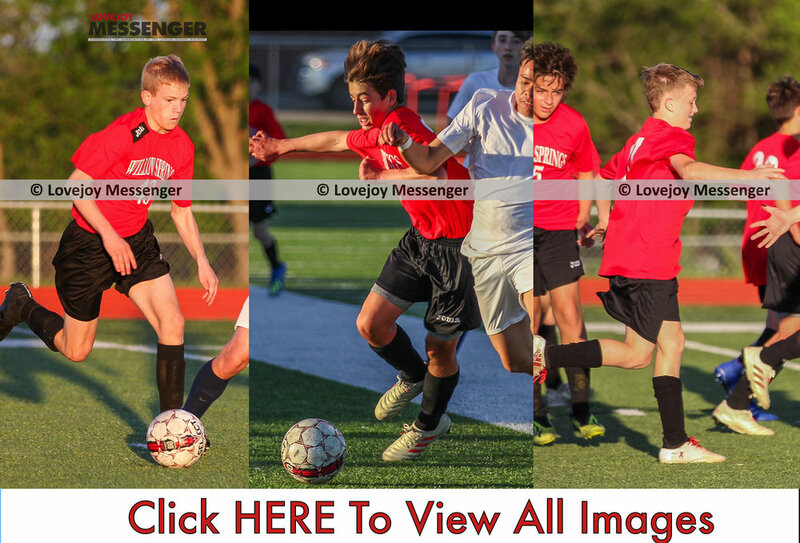 On Thursday, April 11, the Willow Springs Middle School 8th grade boys soccer team came up short against Wylie Burnett 1-3. To start off the season, the Leopards fell to Rockwall Williams 0-1 but bounced back against Wylie Cooper with a high scoring game of 4-3. The Leopards are now 1-2 and look to find a win against Rockwell Utley on April 23. During the first half, the ball was evenly kept on both ends with several saves from goalie Noah Nguyen coming out of the goal to defend. Caden Carlock was able to get the Leopards on the board first. Carlock read his defense after the goalkeeper came to get the ball and chipped it over into the goal. The Leopards led 1-0 at halftime. Coming out in the second half, Matthew Huettner took over the net and recorded several crucial saves that kept the Leopards in the game. However, Wylie Burnett responded with a goal scored off a corner kick. The Leopards continued to fight with a few scoring opportunities that were just inches short of the post. After the referee called a foul inside the box, a penalty kick was put in on the right side of the net by Burnett. The Leopards were unable to secure the win after Burnett’s efforts to score three goals in the second half.